Patients with breast implants may choose to remove them for various reasons, such as lifestyle changes, aesthetic reasons, and/or potential health complications they feel are stemming from their implants. There are three types of breast implant removal surgeries…. This procedure consists of removing just the breast implants. This procedure is ideal for patients who are not experiencing any complications and would like to remove their implants for aesthetic reasons or lifestyle changes that resulted in them no longer wanting their implants. Straightforward implant removal is a fairly quick and simple procedure with a relatively speedy recovery. Another reason why patients would choose to just remove the implant rather than remove both the implant and the capsule is if the capsule is thin and delicate. 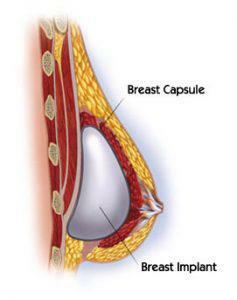 Removal of a thin capsule can result in bleeding and possibly removal of the remaining breast tissue. If the capsule is not thick, calcified, or abnormal in any way, some believe removal does not need to be an option. This procedure consists of removing the breast implant, as well as removing the capsule surrounding the implant. This procedure can be a partial capsulectomy or total capsulectomy. 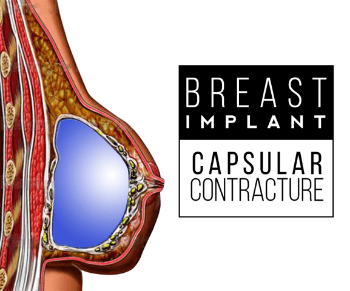 A total capsulectomy involves removing the entire breast capsule from around the implant. A partial capsulectomy involves removing only part of the capsule. Since the capsule does not disappear on its own after the implant is removed, some patients opt to proceed with a capsulectomy. Sometimes during a partial capsulectomy when the entire capsule cannot be removed for whatever reason, the remaining capsule will be cauterized to sterilize the area and promote healing. Implant removal with capsulectomy can expose patients to additional risks, such as bleeding, size loss, contour irregularities and other serious complications. In other words, any maneuver performed during surgery exposes patients to additional risk (morbidity). For example, attempting to remove very thin capsule densely adherent to the patient’s rib cage may expose the patient to significant bleeding and/or entrance into the thoracic cavity. En Bloc breast implant removal refers to a procedure where the breast implant and the surrounding capsule is removed as a single unit. The procedures is performed such that the contents within the breast implant capsule do not come into contact with the surrounding tissues. Generally, the procedure requires a longer incision (6-7 centimeter) usually in the inframammary fold, in my experience. The procedure is more successful when capsules are thickened as opposed to when patients have very thin (normal) capsules. Also, sometimes complete capsulectomy is not safely possible; for example, breast implants placed in the sub muscular position may have a capsule that can be densely adherent to the patient’s rib cage. Removal of this posterior capsule can be potentially dangerous. 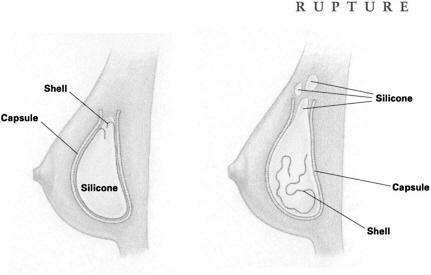 Generally speaking, unless the breast implant capsules have thickened (and/or are otherwise symptomatic), are associated with the ruptured silicone gel breast implants, or if the patient has concerns about “medical conditions” related to the breast implants, capsulectomy is not universally necessary. For these patients, En Bloc removal of breast implants is a good procedure. I feel really good. I’m very happy. Going to gym is much each. No longer have big fluffy bags keeping me from laying on my tummy for exercises. I feel thinner, slimmer, although I’ve never been overweight. The implants always made me feel larger. Hoping to get a little more fluff although I don’t expect too much more since, if I remember correctly, I’m about the same size and shape I was prior to implants. Which, even so, is fantastic considering i had my implants for 10 years! No stretch marks. Right back to who I was before! Physically though! I have to say, there has been some amazing improvements. No more back pain, no neck pain, no arm numbness, no “muscle” tugging. No achy breasts. The best hugs I can get!!! And oddly, the circulation in my hands and feet are just unbelievable. Who knew!? Dr. Tom J. Pousti is double board certified in plastic and reconstructive surgery and specializes in breast augmentation and revisionary breast surgery. With the amount of patients with breast implants growing the number of those wishing to remove their implants is increasing as well. More and more people are inquiring implant explanation surgery for a variety of reasons. Some interested in replacing the implants and some not. The removal of breast implants that have been placed either for cosmetic or reconstructive purposes is a surgical operation. Breast implant removal may be performed as a single procedure or combined with additional procedures such as: removal of scar tissue surrounding the implant, breast biopsy, removal of escaped silicone gel, secondary breast augmentation, and mastopexy. Rest in bed is the order of the day, along with plenty of fluids and no aggravation. You will be permitted to shower, perhaps as quickly as two to three days post-op. Also, the chest will feel somewhat sore for the first few days. This should abate very quickly, and by the end of the first week you should be very comfortable. This is an actual patient of Dr. Pousti. I grew up very insecure with my focus on fixing physical flaws, rather than working on my inner confidence and strength. I was 17 years old when I found a solution to what I thought was a problem. Throughout this journey I have had a spiritual awakening and came to the realization that I was born with all the necessary tools to live an abundant and more holistic life. These implants have been like training wheels and helped me love myself and I am ready to let go of them. In 1995, when I was 25 years old, I had my first set of saline breast implants put in. Because I was always barely a size A cup, it was something that I had wanted to do as long as I could remember. I was pleased with the results until the day I was in a car accident and one of my breast was damaged. Because of this, in 1998 the implants had to be removed. I had originally wanted them just removed without replacing them, however, the doctor at the time (not Dr. Pousti) talked me into removing and replacing the implants instead of removing them only. I had a very difficult surgery as well as recovery. I have regretted ever since then that I let the doctor talk me in to new implants. They have since been uncomfortable; I have not been able to sleep on my stomach; as a runner, it has been hard running with the implants, they have been in the way; and I just have not been able to wear anything that I wanted without it being too tight in my chest and too big in my waist. I was just a different person when I got the implants, and implants were not fitting in with my lifestyle any longer. I had been beyond ready to go back to my natural body for a long time. Finally, fourteen years later, when we were finally in a position where I could have them removed, we began to research and pray that we would find a great surgeon. Due to the fact that I had such a horrible experience with my last surgery, we wanted to find a doctor that we could trust and one in which we would feel comfortable. In Dr. Pousti and his staff, we found much more than we could have ever imagined or hoped for. We have been so blessed that we found Dr. Pousti. I would like to thank Dr. Pousti and his staff so much for all that they have done and continue to do for me even though my surgery is over. While I was researching and looking around for the best surgeon that could perform my surgery, I kept coming back to Dr. Pousti. I was impressed with the extremely large amount of positive comments that were on many websites. Fact is, honestly in all of the many reviews that I read through, I did not come across even one negative comment. Also, his own personal website was amazing and filled with so much information about any surgery that you could possibly think of. Once I went in for my first appointment, I knew for sure, no question that I wanted Dr. Pousti to perform my surgery. Dr. Pousti, from the very first appointment made me feel beyond comfortable. He and his staff explained everything and answered any question that I had, and I had many. I had such a negative experience due to a very bad surgery in the past, and felt very very anxious. Dr. Pousti took so much time to help my husband and me to feel as stressed free and relaxed as possible. This amazing Dr. and his staff has called me everyday since my pre-op appointment just to check in on me, making sure that everything was ok and to rest any worries that we may have had as they knew that I was extra anxious. Since my surgery, they have continued calling and checking in on me to make sure that all was well. They even called on both Saturday and Sunday. From my first appointment until today, which is a week today since my surgery, Dr. Pousti and his staff have just gone above and beyond what they needed to do; way more than I have ever experienced from any other doctor’s office. If Dr. Pousti and his staff were not enough, the Surgery Center where he preforms his surgeries is absolutely top of the line. Again we were astonished and amazed at the treatment that we received there. Dr. Pousti shared with them my concerns, and the staff from the Surgery Center went above and beyond what they needed to assure me and help make sure I was comfortable. They called me the night before and listened to my concerns. The next day they were perfectly punctual, and everything went according to schedule. Dr. Pousti and the staff from the Surgery Center were there by my side the whole time. They even held my hand as I drifted off to sleep. My husband and I will always be thankful and blessed that we found Dr. Pousti to perform my surgery, and we would not hesitate for even one second to refer anyone who is looking for a plastic surgeon to Dr. Pousti. He is truly a one of a kind Dr. with a one of a kind staff. We searched form many other doctors, and Dr. Pousti was like night and day compared to the others that we visited. We are absolutely sure that anyone who does choose him will be extremely satisfied, thankful, and blessed. It was very important as we searched for a doctor that we found one in whom I could feel safe in trusting my wife’s care too. Dr. Pousti and his staff were very professional with high quality and standards which exceeded our expectations. Thanks for taking care of my wife.